You are here: Home / 2015 / I have not had any pain since! Isn’t it fantastic that Catie Loeffler (53) can say; “I have not had any pain since!” Thanks to Pilates and a great teacher. I am Catie Loeffler, healthy with the exception of neck and knee issues. I live in Temecula, CA. I started Pilates two months ago. 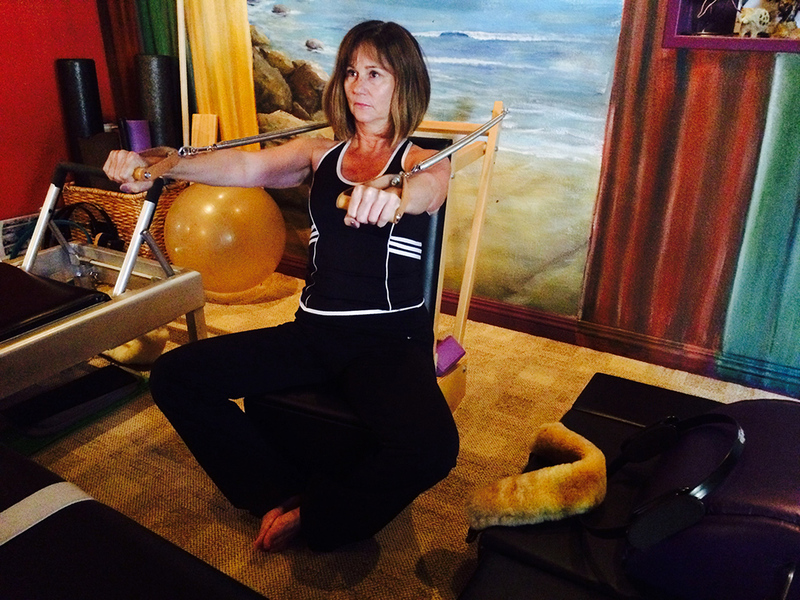 My next door neighbor, Sunni Almond teaches Classical Pilates. I take private Pilates lessons. Sunni includes both mat and apparatus. My favorite is whichever one I can actually do at the moment. I was told that the pain in my knee was arthritis and I really couldn’t do much about it. 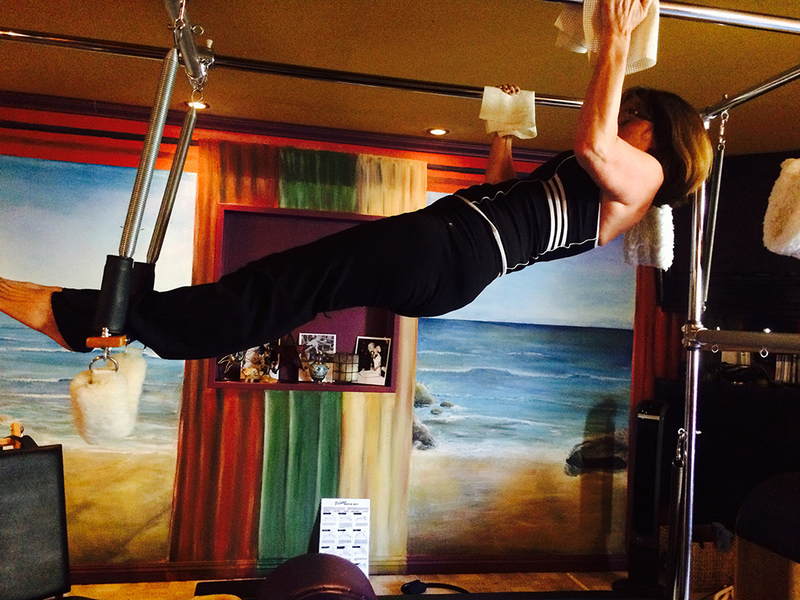 I honestly don’t know which exercises have helped the most in Pilates, but I have not had any pain since!